START HERE WHAT ARE YOUR GLASSES FOR? Click here if you have two PD numbers. Click here if you have two Addition (near). You can only save your prescription if you open an account with us NOT when using guest checkout. your reflection in the mirror; as seen below. Do you want to Save this Prescription for later use? Where do you wear your glasses? 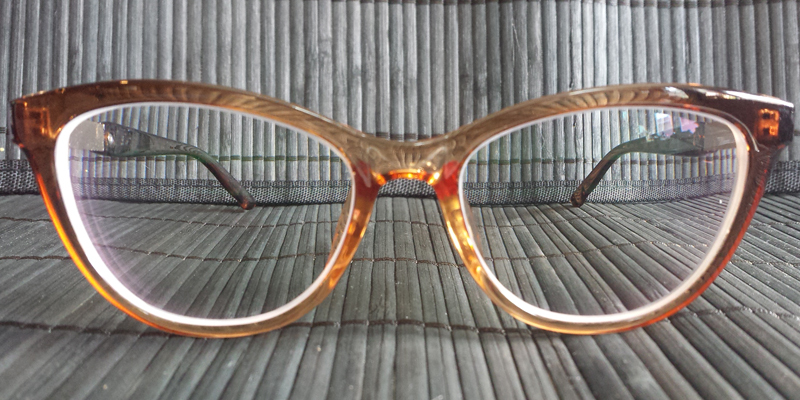 Cat eyeglasses are all the rage here's a light updated look with golden inset in clean lines on the temples. These frames are great for prescription eyeglasses or tinted/polarized to become prescription sunglasses. These frames are great for the casual afternoon or on a date night looking chic! Frame Shape: Indicates the shape of the lenses and frame. Lenses Type: This would be according to your prescription; bifocal lenses, progressive lenses or single vision lenses. 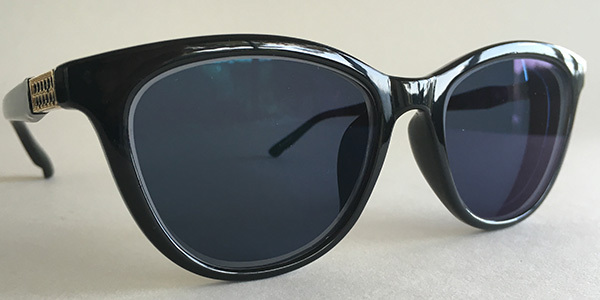 Frame Shape: Indicates the shape of the lenses and frame. Lenses Width (A) : The width of one lenses, edge to edge, from a frontal view. Lenses Height (B) : Top to bottom measurement of the lenses from the hightest point to the lowest point. Bridge Width (C) : Measurement of the space between the two lenses, from the inside edge of the lenses over the bridge(nose) to the inside of the other lenses. Temple Width (D) : Measurement of the temple arm from the side of the lenses to the end of the earpiece. Frame Width (E) : The width of the frame from a frontal view, from edge to edge. Hinge Type (F) : The mechanism that is used to attach the temples to the front frame and the lenses. These glasses are very cute and fit very well. They are also good quality. I recommend them them. I've purchased two pairs so far from this website and I'm very happy with both of my purchases. You need to add your pd and prescription prior to adding this product to your cart. Review quick help provided below to add your Prescription. Step2: Enter your PD and Prescription in 3 steps(shown as per below screen). Then "continue"......if not please "cancel"
are you missing a entry?